The research is clear. 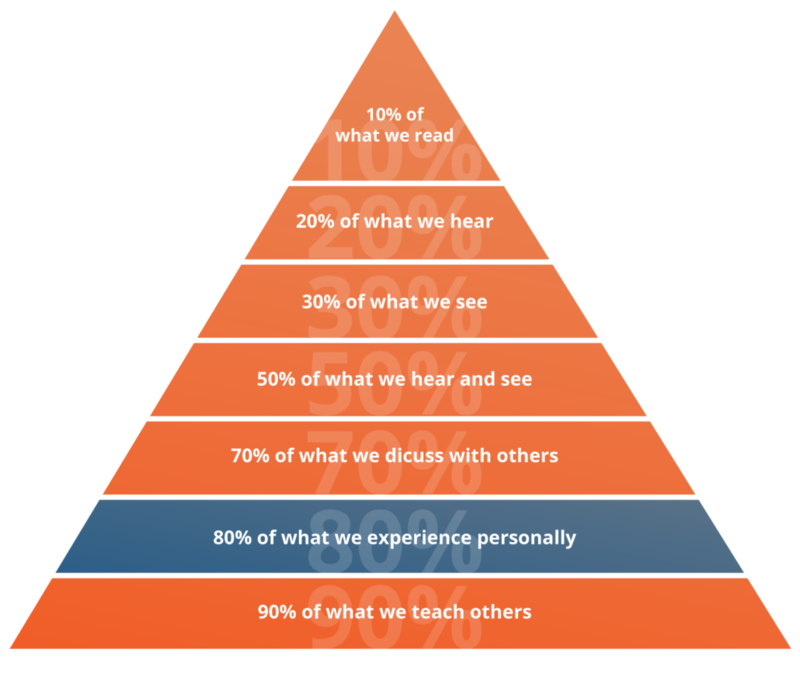 People retain information at exponentially higher rates as you move from written text to immersive products like video or animation. When you utilize Augmented Reality to involve your customer in the experience, retention skyrockets to over 80%. InnovatAR transforms the way you communicate with your customers by creating AR experiences that increase engagement with your organization’s message. InnovatAR’s service packages include enabling 2-10 AR “markers” (business card, sign, brochure, etc.) and connecting them with an existing experience (e.g., video, photos, animation, etc.). 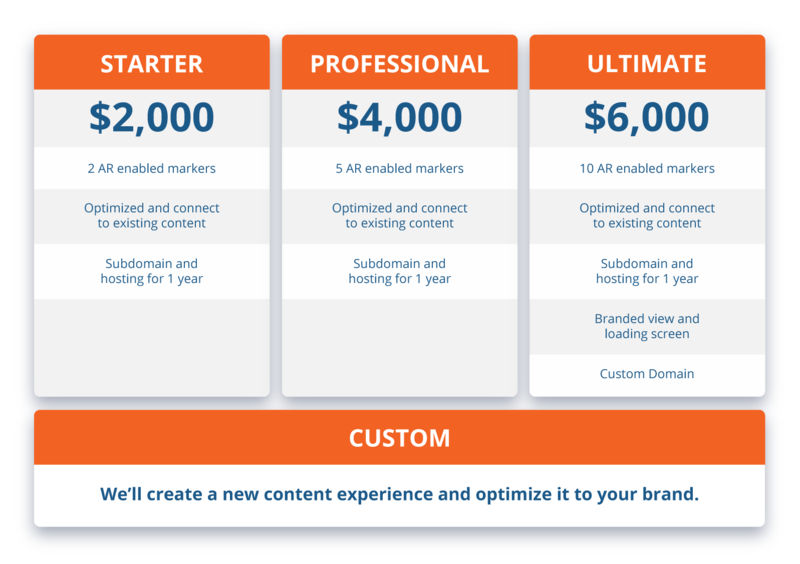 For those who do not have existing content, InnovatAR specializes in creating rich multimedia experiences utilizing the latest industry advances. Simply enabling a product with AR is insufficient. The customer must be met with an unforgettable experience once the AR-enabled content is activated. InnovatAR specializes in creating rich multimedia experiences utilizing the latest industry advances. The most common form of Augmented Reality Experience. See examples of how InnovatAR can create an animated explainer video for your organization that brings your product, service or message to life. Bring your organization to life with 3D animation. Create innovative scenes and characters in a way that actively engages audiences in your story. Our team of artists can customize artwork to complement your brand and grab attention. As the saying goes, “a picture paints a thousand words.” The use of illustrations can simplify the complex and confusing information often associated with promoting products and services. 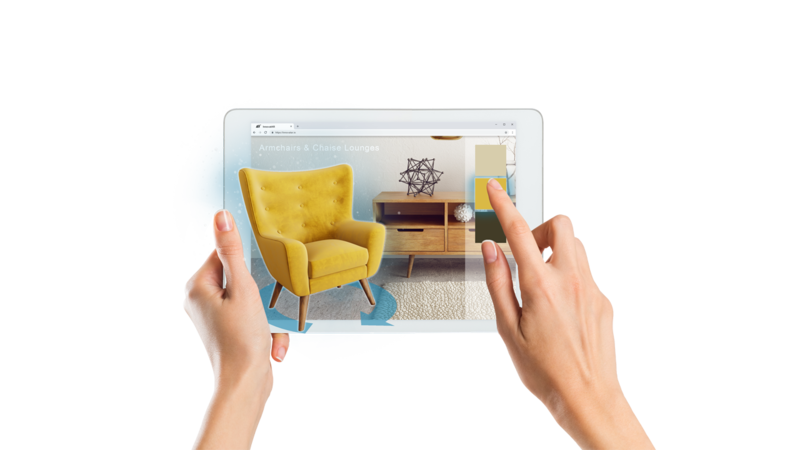 Augmented reality combined with illustrations is a powerful combination for marketing success. Leveraging the power of augmented reality, Yondar allows you to look at the world through your mobile device’s camera to find people or places wherever they may be. InnovatAR has developed proprietary tracking technology to enable what was previously thought impossible for web-based augmented reality applications. Visit Yondar’s website, share a unique link with your family or friends, and be instantly connected in a private space where you can visibly see each others’ geolocations in real time. No account sign ups or app installs necessary, and totally free. Businesses can purchase dedicated links that can be shared on social media, through text messages, printed on posters, etc. 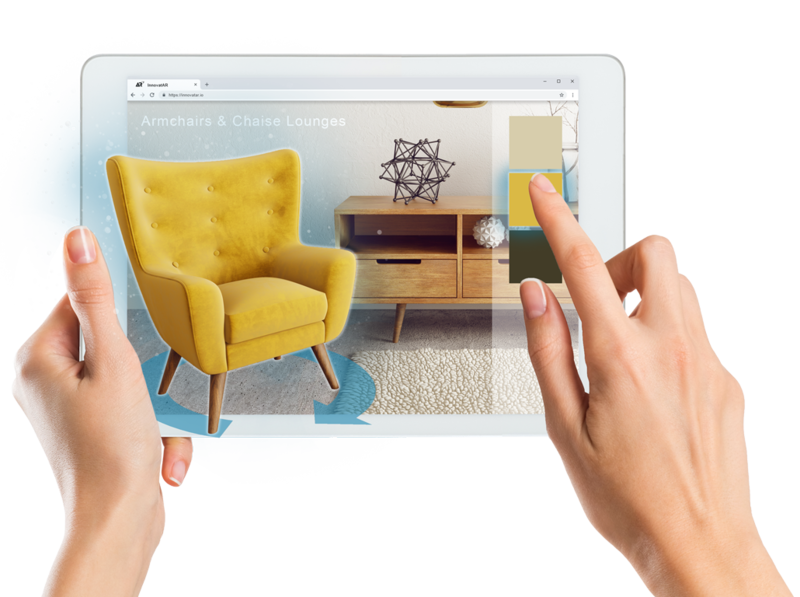 When clicked, Yondar instantly guides customers to your place of business, a point of interest, or wherever you want them to go in immersive AR! No app installs, no account signups, ultimate convenience. Examples of great use-cases would be vendor booths at outdoor fairs or festivals, food trucks, and downtown businesses. Bring your Park, attraction or trail signage to life through hassle-free, web-based augmented reality. TravelAR is a custom AR solution for our nation’s parks, resorts, amusement parks and tourist attractions. TravelAR enhances your visitors’ experience by connecting 15 second animated video clips to AR enabled signs. Once a visitor scans the AR enabled sign, our family friendly character, Ollie the Owl, flies in to deliver a ‘fun fact’ about the location. These educational tidbits engage your audience and enrich the visitor experience in a fun, yet informative way. Once the clip has completed, links to your website and/or other location attractions will appear, allowing visitors to further their exploration.